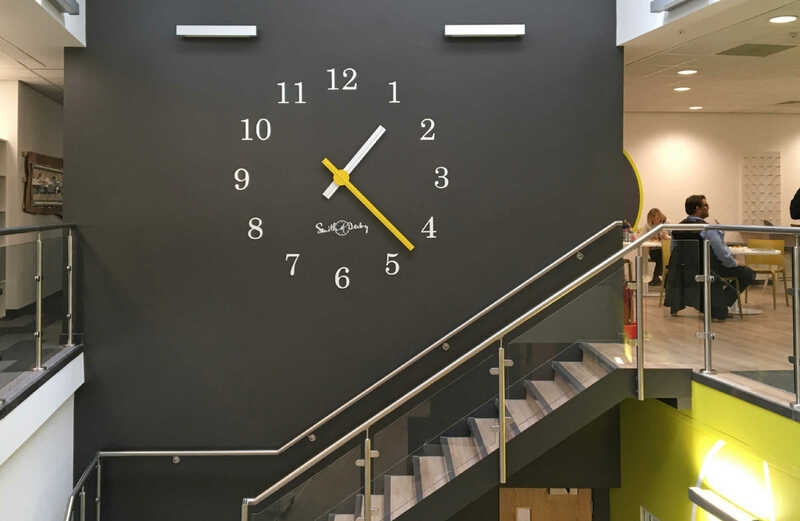 Students and lecturers at the University of Derby are welcomed by this crisp contemporary clock as they approach the internal stairwell of the Westwing building. This commission formed part of a renovation that transformed a sports hall into lecture rooms and of offices. It has introduced dynamism and character into what might have been a blank space. cut aluminium numerals with white and yellow hands. 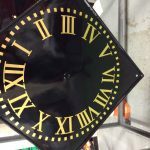 Presented on a black wall, this 1.7m diameter clock makes a strong statement. 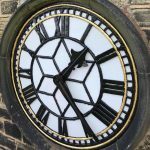 The aluminium numerals are bonded directly to the wall, reinforcing the impression that the entire wall is the setting for the clock dial. The synchronous drive is situated within the wall cavity and is accurate to +/- 1 second per month. 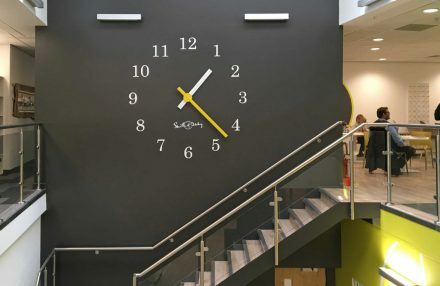 The clock will be part of how students will remember their time at the University of Derby.